We’ve had a busy summer working to fully fund our 2010 Alternative Field Trip programs and launch the new Solar Waffle Works program. Yep, the name changed from Solar Transition Cafe to Solar Waffle Works. It just sounds better doesn’t it? The food cart is coming along and although it takes fooooooreeeeeveeer to get donations approved, if you’re tenacious like a pit-bull and willing to wait, it seems like they eventually come through. We’re finding that nothing moves quickly in the non-profit world. So far, we’ve had a tough time bringing in more individual donations through the newsletter and the website, so we’ll be looking to explore alternative fundraising paths like special events. I’m also excited to announce the latest addition to our board of directors. I met Sara Hope Smith in 2006 when we rode down to San Antonio, Texas in the BioTrekker to attend the National Biodiesel Conference and the Sustainable Biodiesel Summit, which Sara Hope organizes. She has a ton of creativity, an amazing amount of enthusiasm for renewable energy and a ton of technical know-how. She’s the one who convinced me to push ahead and get back on the road when we were experiencing our first mysterious biodiesel technical issues. Sara Hope is currently an Energy Analyst for the Oregon Department of Energy and the co-founder of the Biofuels Oasis in Berkeley, California. Thanks for coming aboard Sara Hope! 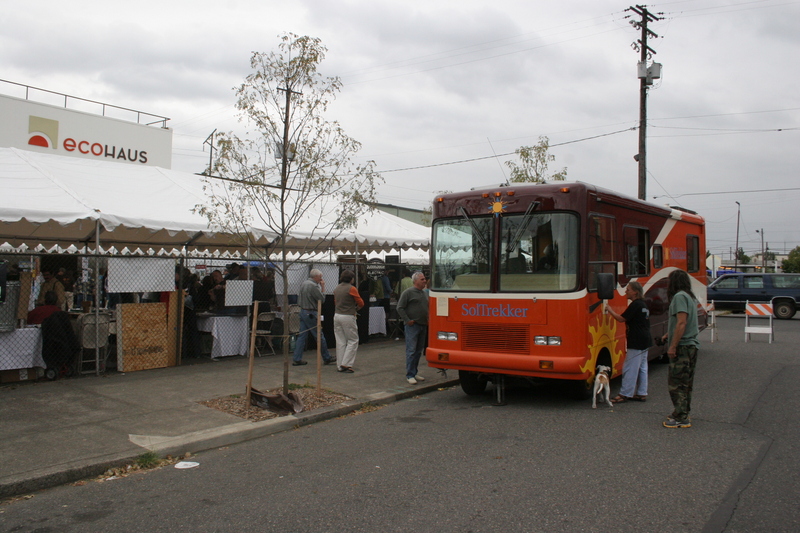 If you’re in Portland, look for the SolTrekker renewable energy RV at the Muddy Boot Festival in Southeast Portland on September 12-13. And then, starting in October, look for us at local schools! I’m really excited to distribute plans and materials for small solar generators in 2010. I think it’s an awesome way to get renewable energy systems to low income families and to show people that solar power is scale-able and can be built for under $400. C’mon, less than some flat screens out there! Have a great summer’s end and autumn beginning. Among our latest activities is making a suggestion on the Obama administration change.gov. Please see our posting and vote for it if you think it’s something that the administration should consider. Click here for the link. And make your own suggestions as well! It seems like there aren’t a lot of specific ideas being proposed, so if you have one that is even half-way thought-out, it probably has a good shot at getting noticed. 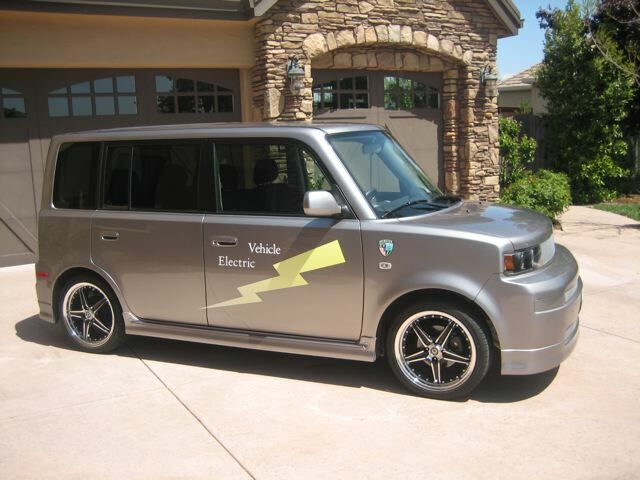 Who Wants a Green RV? After three great fall shows we’re taking a break from touring and getting back to planning the next steps for our little non-profit. 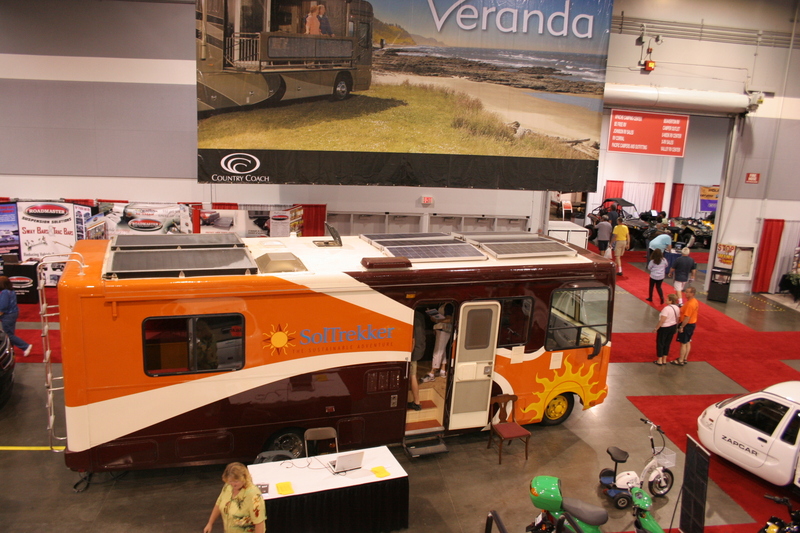 One direction we’re heading to become financially sustainable is to draw on our experience building the SolTrekker to begin building more green RVs for others. We are putting together cost estimates and putting together a workspace that will be more suitable for commercial production. 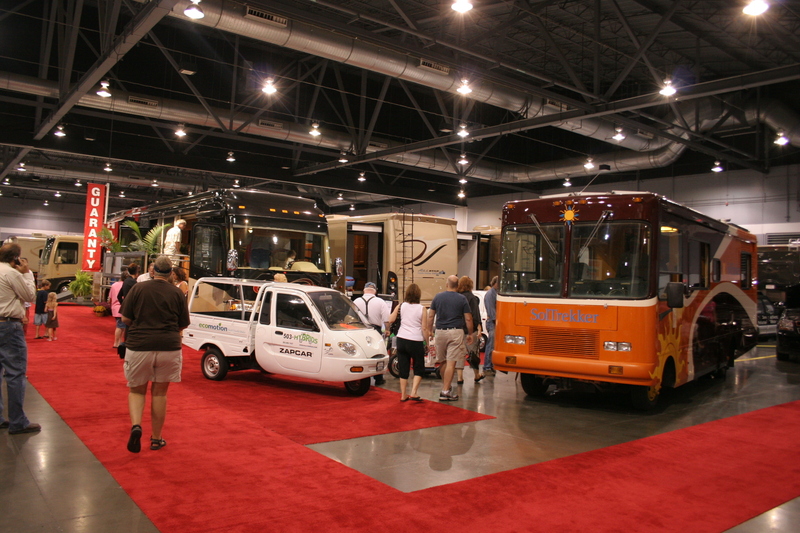 Although we aren’t able to immediately begin builds for others, if you’re interested in having a green RV built for you (or having your existing vehicle retrofit) please contact us (ty at soltrekker dot org) to begin the dialogue and get a very initial cost estimate. Our goal is to begin production within 12 to 14 months. The Portland Build it Green! Home Tour was a great time, and our only regret is that we didn’t have time to check out the other awesome homes on the tour. This event was focused around education and brought out a really knowledgeable and engaging crowd. It’s really inspiring to know that there’s so many passionate and empowered people out there looking to put more of an emphasis on renewable energy in their own lives and community. Thank you to everyone who put the event together, especially EcoHaus and the Portland Office of Sustainable Development.